Kid-tested and parent-approved, these seven NYC restaurants are perfect for kids who love to dine out in the Big Apple. With so much delicious food all over the city, it can be hard to choose where to stop in for a bite to eat. But rest assured that palates will be pleased and tummies will be tickled after a trip to one of these seven scrumptious spots. If you are in Times Square with the kids, don't let the excitement of the sights and sounds on the street come to an end when it's time to eat. 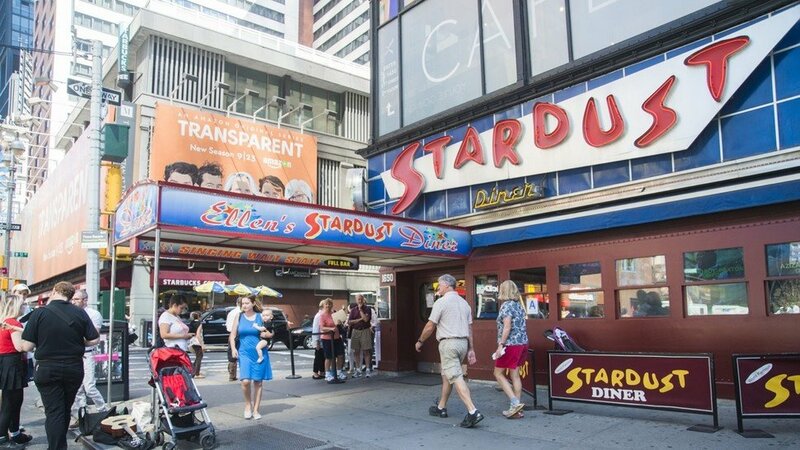 Let the fun continue by dining at Ellen's Stardust Diner. Delicious homey diner food paired with singing waiters and waitresses provide for a Broadway experience over a great meal with family. The kids' menu features breakfast, lunch, and dinner dishes they'll love with unique options like Fruity Pebble pancakes, mac 'n cheese bites, and mozzarella triangles. The burger selections are plentiful and be sure to wash one down with an old-fashioned NY egg cream. Music and mealtime go hand-in-hand at Ellen's Stardust Diner! 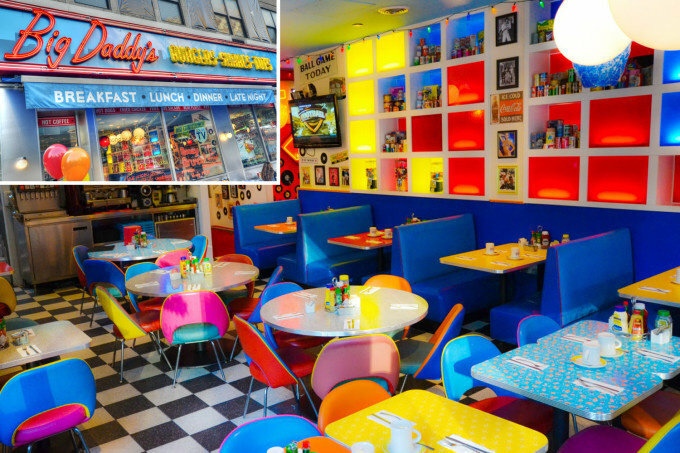 Go for the retro-diner vibe at one of two Big Daddy's locations in NYC – Gramercy and the Upper West Side. Breakfast, lunch, and dinner are served for those who arrive with a hearty appetite. Kids will love cookie dough or Oreo pancakes, yogurt smoothies, mini cheeseburger sliders, Big Daddy's milkshakes like their bananas foster and black and white cookie shake, and their decadent chocolate chip molten lava cookie cake. Don't fret all that fattening fare, there are scrumptious salads too, from Caesar to Greek to Cobb. The décor is decked out in an '80s style that's nostalgic and colorful. Come hungry, because Big Daddy's does it big! 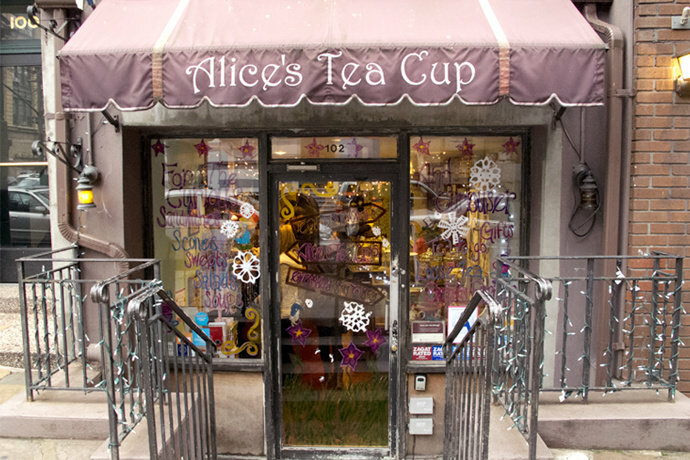 Tea time has never been so much fun thanks to the three Manhattan locations of the adorable Alice's Tea Cup. Whimsical and wonderful, the kid-friendly, yet quaint dining establishments are perfect for a cup of tea, tasty bites, and a special time out with the little ones that doesn't involve a Happy Meal. Enjoy scones, omelets, porridge, or crepes for breakfast or brunch, or come lunch time and delight on dishes like curried chicken salad, tuna melts, grilled cheese, or chicken fingers. Save room for dessert, because you won't want to miss the deliciousness of Alice's Tea Cup's dark chocolate mousse, lemon tart, or ice cream sandwich. There are tons of teas to choose from along with other beverages like hot cocoa, chocolate milk, juices, and GuS Sodas. Pinkies up! 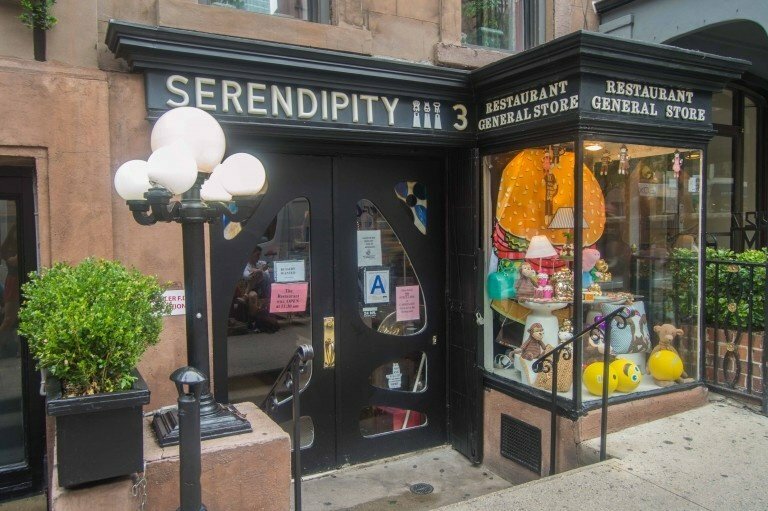 Serendipity 3 is best known for their out-of-this-world "Frrrozen Hot Chocolate" which is divine, but the restaurant serves up lots of tasty fare that makes a trip to the Upper East Side kid-friendly spot worth every bite. Kids will love munching on blue corn nachos, foot-long hot dogs, challah French toast, or country meatloaf, as well as desserts like pecan pie, carrot cake, and strawberries and cream. Sundaes are for every day at Serendipity 3, with flavor combos that are indulgence at its finest. Splurge on a cinnamon fudge sundae with apple pie or split a banana split. The food is delicious, the atmosphere is playful, and the kids will be begging to return soon. American Girl Place is a favorite for kids who adore their special dolls as well as their salon catered to a day of primping and pampering for the little ones and their "mini mes" alike. After shopping and exploring the shop filled with dolls, accessories, clothing, books, and more, take a breather and get a bite at the American Girl Café. Come for brunch, afternoon tea, lunch, or dinner, and choose from their tasty menu with many kid-approved favorites like cinnamon bun French toast, heart-shaped pancakes, pigs-in-a-blanket, shrimp angel hair pasta, or melty mozzarella sticks. The chocolate chip cookie skillet sundae is decadent as is the "Marshmallow Madness" sundae. 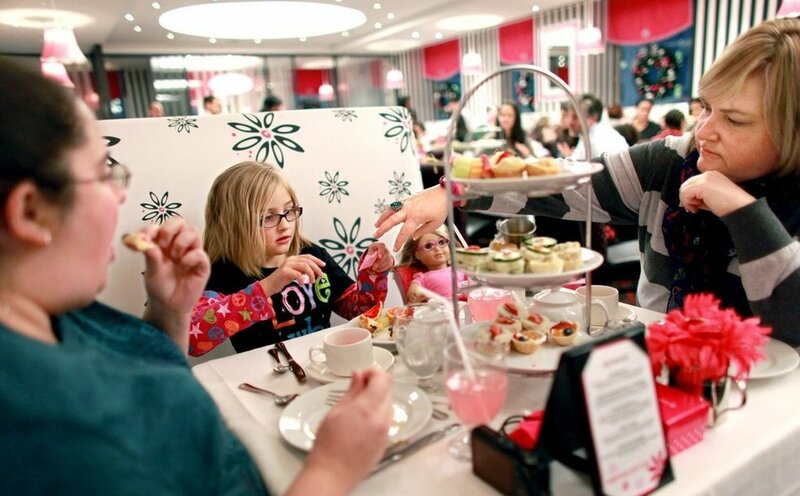 Dolls and dining make for the perfect day at American Girl Café! 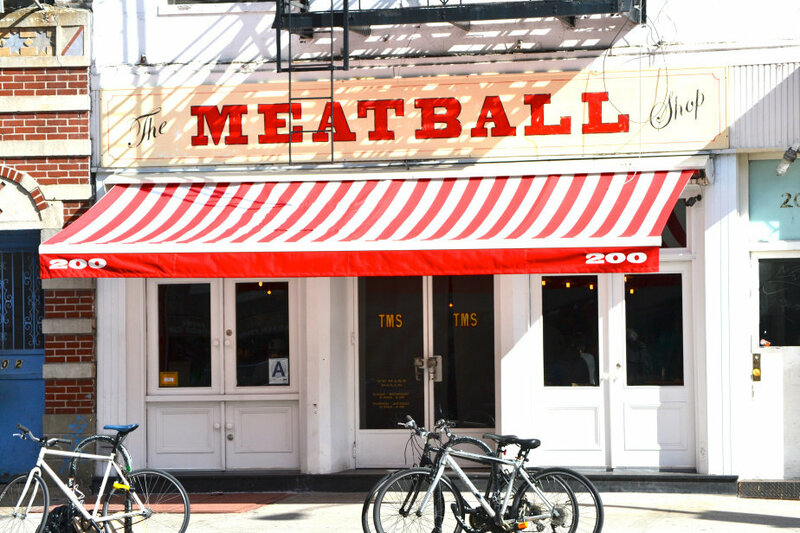 Meatballs reign supreme at The Meatball Shop with six locations in the NYC area. And not just one type of meatball will do. Choose from classic, spicy pork, chicken, or veggie, with sauces galore like pesto, parmesan cream, spicy meat, and classic tomato. Served with focaccia bread or as a slider, with a salad, risotto, or roasted veggies, these balls are beyond belief in taste and texture. Kids will love finishing off their meatball meal with a snickerdoodle or chocolate chip cookie. Daily specials like the chicken pot pie meatball are always changing and always delicious. Eat in or take out to get your kids their meatball fix whenever they're craving something hot and juicy! What kid doesn't love macaroni and cheese? 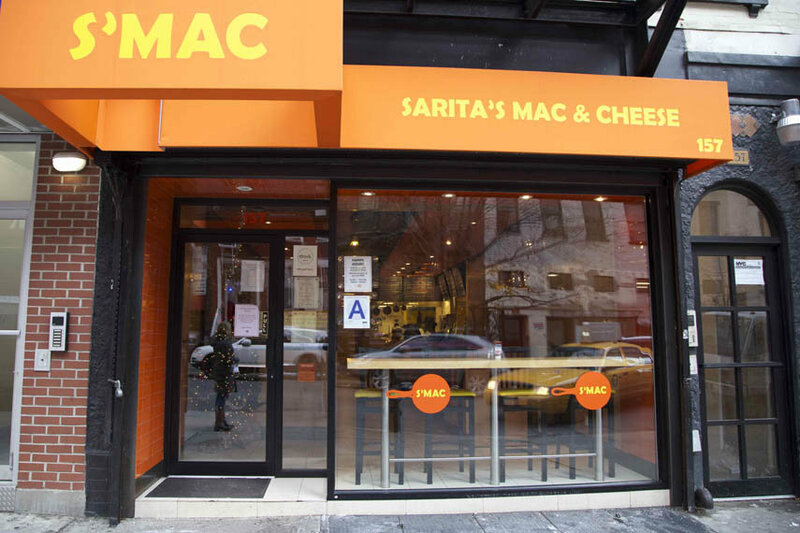 Finally, there is an entire restaurant devoted to the ooey gooey dish, and kids are going mad for S'MAC. Billed as "New York's best macaroni and cheese," S'MAC offers fun and flavorful takes on the classic with their skillet-served creations. The 4-cheese is pure heaven, loaded with cheddar, muenster, gruyere, and pecorino. Or kick things up with Cajun, filled with cheddar and Jack cheeses, andouille sausage, green pepper, onion, and spicy seasoning. Kids love the cheeseburger mac & cheese with cheddar and American cheeses and seasoned ground beef. Paired with a mixed green salad and a brownie or cookie for dessert, everyone will go home with a full belly and an even bigger smile. PB & J won't cut it for NYC's kids. Take 'em out and explore the city's kid-friendly culinary scene.